I love autumn! The crispness in the air, the beautiful foliage, all the seasonal activities and holidays…There’s still plenty of things to do outside and time to play outside in the fall–apple picking, jumping in piles of leaves, and enjoying Halloween events like corn or hay mazes. For the most part, kids can still take advantage of many of the outdoor activities they enjoyed in the summer, but the cooler weather brings more than just a need for a coat. Shorter daylight hours, more rainy days, and brisker stronger winds make every day a question as to whether the elements will keep them indoors until the impending winterseason makes it guaranteed. 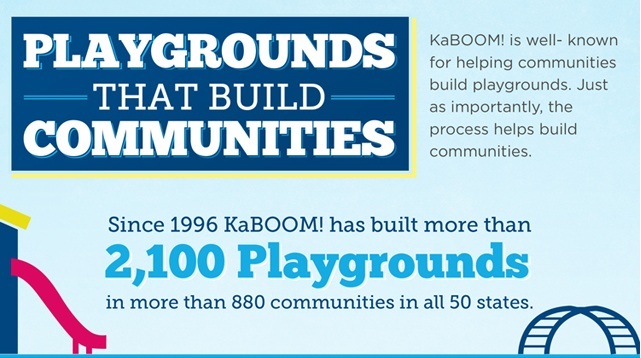 KaBOOM.org is a great resource regarding almost anything to do with playing, from finding playgrounds in your area, to literature about playing and its benefits, to contributing to local community projects, or even spearheading your own playground project. There is a plethora of information, online training, discussion groups, DIY playground improvement guides, and of course, a mobile app that will locate nearby playgrounds and find fun age-appropriate playground activities for your child. KaBOOM! is targeted towards large scale community projects, so it’s not the ideal site for home project ideas, but it’s still worth taking a look at, even if only to educate yourself on current topics, initiatives, and research on the subject of play. Never knowing when or where inspiration might strike is reason enough to peruse photos of playground sites or take a look at the DIY projects. 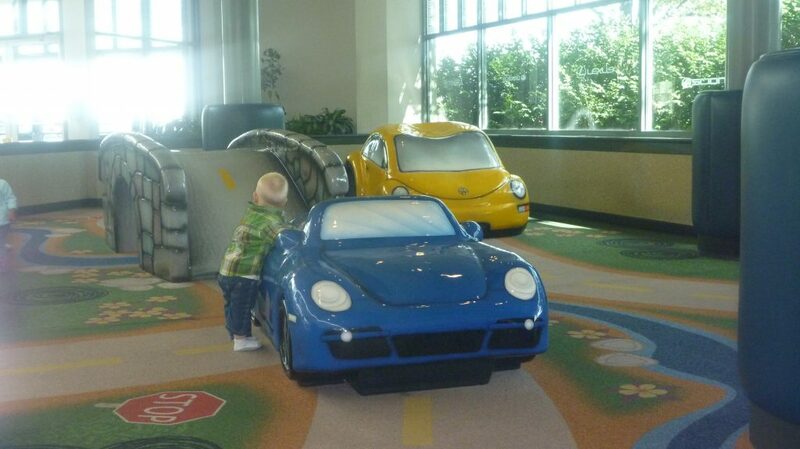 Outdoor activities or equipment can translate to indoor fun more easily than you might think! Another great feature that is both a mobile app and an online tool is Map of Play. I haven’t tested the app yet, and the online tool is not without some problems, but its main benefit is being a finder tool to provide a plentiful list of playgrounds, albeit mostly if not all outdoor playgrounds, in your area. The tool is not perfect, and though it was created in 2006, there aren’t a lot of photos or reviews shared, at least not in my area yet, but it’s still a very useful resource and one that you can also find pride in contributing to if interested. A lot of the playground locations on Map of Play will be area schools or other public sites, so there is still value in winter months to take a look at what’s near you. Especially if you don’t have a yard, these could be ideal places for playing in the snow, and harder yet to find are places to go sledding. Never assume the properties listed are public, but it shouldn’t be hard to find out one way or the other, and you never know what you might find in your own backyard once you know where to look. There seems not to be any shortage of child centered businesses providing age-specific fitness promoting, creativity stimulating, motor-skill developing, confidence instilling, social and intellectual skill building programs. And I hope I also made my point that for as many of these facilities that pop up, there are even more advantages and benefits that these classes promise to provide your child, and I’m sure they do, but structured programs come with more than convincing copy write, they also come with hefty admission, or rather, membership fees. 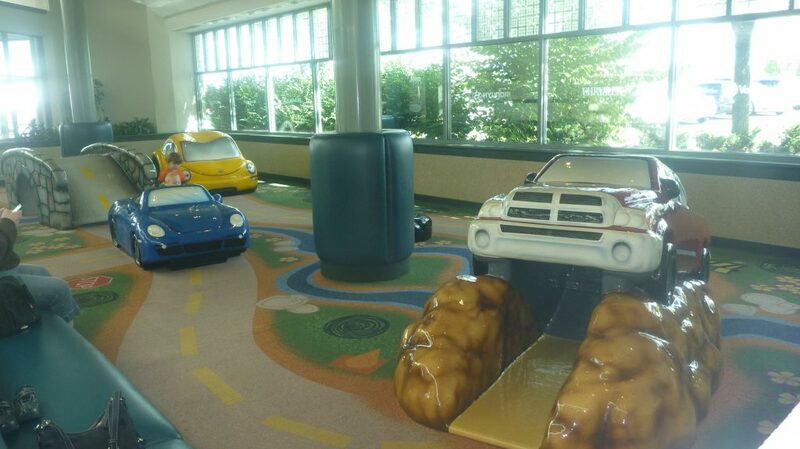 There are many companies that offer play areas and/or interactive lessons for their customers, or even the public with no pressure to buy anything, they just want to get you in the door. Grocery stores have simple cooking classes, for example, but malls and shopping centers are also known to set aside a space for children because they want to cater to working parents and offer convenient solutions to make shopping (and thus buying) easier. This is seen more in the summer, but stores have promotions or tent sales and rent out bouncy houses and have other entertainment like face painting. These types of events are obviously irregular, but do happen. 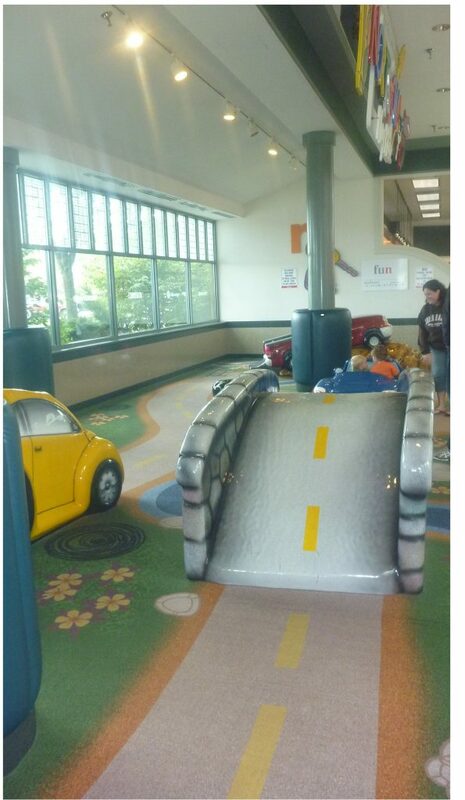 For a more consistent solution, take a walk around a nearby mall, especially by the food-court and the end of the hallways, to see if a play area has been set up. While I wouldn’t expect fancy equipment or an elaborate set-up, you probably will find foam climbers or other commercial products that provide your toddler a chance to practice and develop different skill sets, or socialize with other kids, or simply to give them a confined space to do nothing more than run around while you take a moment to relax. The best part is, the hours follow when the mall is open, so the playspace would be available most of the day, plus, it’s free (unstructured) play. Another option that I went more in depth with here are playspaces and jungle gyms at fast food restaurants like McDonald’s or Chick-Fil-A. Getting involved with your community and taking advantage of seasonal festivals or fairs is an excellent way of exposing your child to different scenery and different situations. While this is another irregular option, and less available in the winter, there are probably a lot more events, and particularly child and family oriented events, than you realize. Visit your town’s, or neighboring towns’, website and see what sort of resources they have in the youth and/or recreation department. The town/city itself may have programs, special events, groups, and facilities already established, it’s just a matter of knowing when and where they are offered. If not offered or run by the town itself, many will be partnered with organizations that do. While there is still likely to be a cost associated with programs, whether through the town or a partner, there is usually an annual membership that competes with the monthly (maybe two months) price of that of a private business. Since staffing is probably on a volunteer basis with municipal programs, you’re likely to have a more personal experience, as well as the ability to try out one, if not a few, sessions to see if it’s right for you. There’s a great chance that the staff live in the community, and can be a great source for information about other local opportunities and venues, as well as day care centers and pre-schools (if not already a pre-school program). 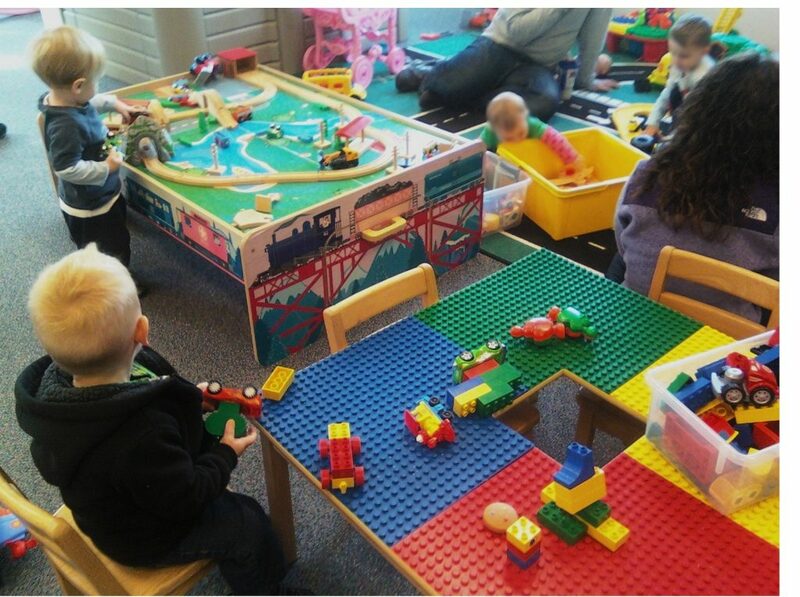 Clearly this isn’t the main prerogative, but attending and participating in locally run programs, many of which are parent-child play (you supervise and play with your children and not drop them off for the designated time period), is a great source for networking and getting involved, not just at your child’s play level, in the community. For these reasons, there are potential advantages from a professional stand point as well.